Today was the coldest day since our records began: a maximum of -1.4°C. 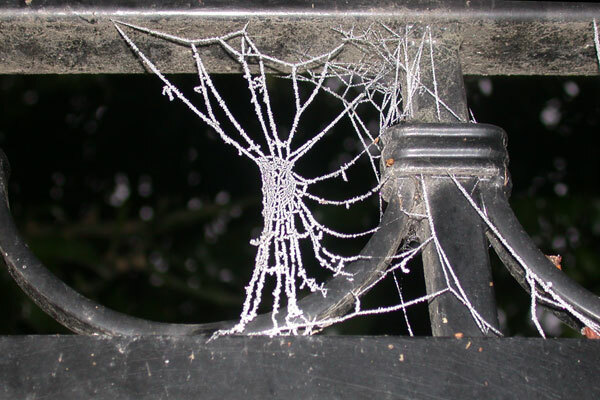 Spiders make lace doilys. Admin2 is reading The Overstory by Richard Powers; an overlong over-repetitive story about the over-exploitation of forests and a waste of a wonderful tree. Print article This entry was posted by admin2 on January 31, 2019 at 10:56 pm, and is filed under Weather. Follow any responses to this post through RSS 2.0. Both comments and pings are currently closed.